Specialist biomedical scientist Susan Jeffrey, above right, from Dumfries has picked up a prestigious award for excellence in her field of study. 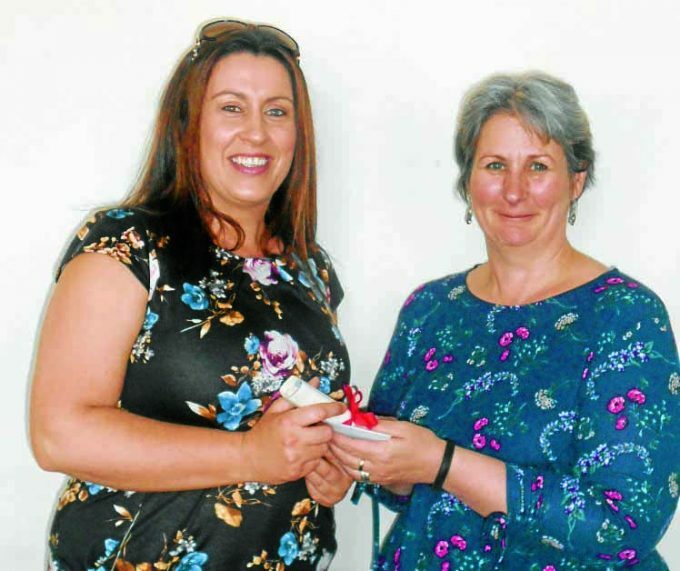 She works in the haematology and blood transfusion department at Dumfries and Galloway Royal Infirmary and last year completed her Higher Specialist Diploma in Haematology. 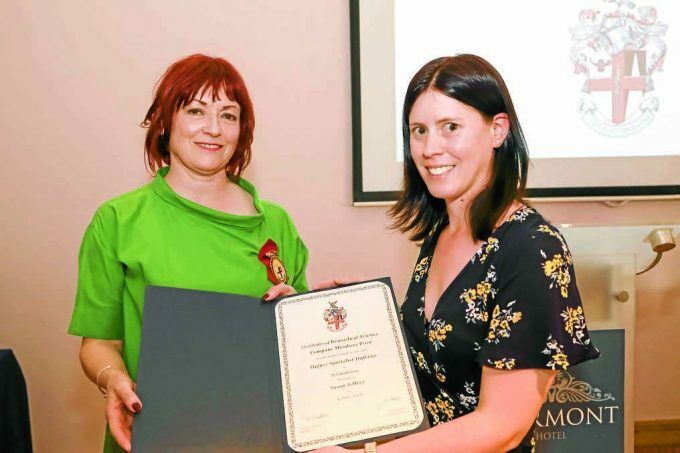 At the Institute of Biomedical Science (IBMS) annual general meeting in Belfast last Friday, Susan was presented with the Higher Specialist Diploma Company Members Prize in Haematology, which is awarded to the candidate who earns the highest mark in each discipline of the exam. IBMS president Alison Geddis said: “These scientists have demonstrated their excellence in their disciplines – I am delighted to present Susan with this award.” Meanwhile, a social worker with Dumfries and Galloway Council has won the Andrew Cornwell Memorial Award for the highest performing graduate in the Open University’s social work programme in Scotland. Laura McHarrie, of Stranraer, was presented with a certificate and book token at council headquarters in Dumfries by regional education manager for the Open University Rosanna Ware. She began as a social work assistant with the council’s youth justice team and since achieving her BA Honours in social work, Laura has taken up a post in criminal justice.